Trying to explain hospitality isn’t easy and I’ve been stubbornly working for many days to discover this. I could look up “hospitality” in the dictionary or talk to a professor in the Cornell University hospitality program, but one answer wouldn’t be enough and the other would be too much for this arena. But hospitality is one of the most important considerations to Brasserie L’Oustau’s operations; providing a high level of hospitality is what makes the difference between acceptable and exceptional service, between a satisfied customer and one who will return again and again. 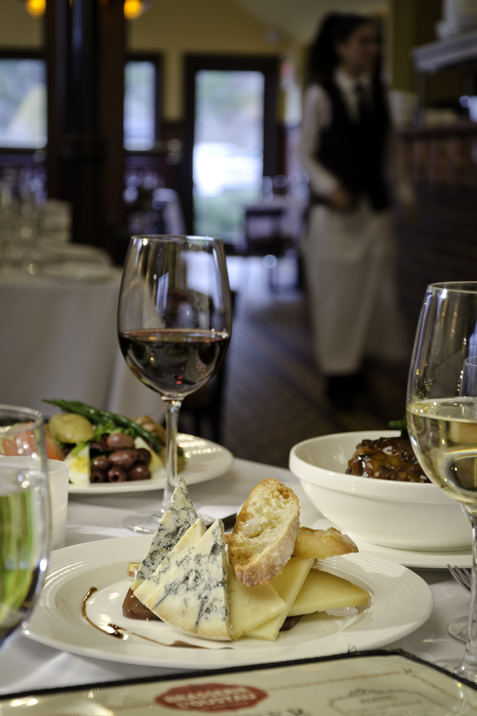 The goal of hospitality at Brasserie L’Oustau is to make you feel as though you’re a member of a special club, respected as soon as you walk in, and by the time you leave we want you to feel thoroughly cared for and satisfied with everything about your meal. We want you to return so we will know more about you to provide better service, such as who is your preferred server, if you have menu favorites or allergies and what table you would enjoy most. When Michel Boyer opened Brasserie L’Oustau de Provence in early 2012 he brought more than a new restaurant to Southern Vermont; he introduced diners to a level of hospitality developed during decades of hotel and restaurant management around the world, most recently at Brasserie 8 ½ in New York. For nine years previous he was General Manager for food services at the New York headquarters for the United Nations. He proved his ability to understand and respect many different cultural hospitality paradigms and how to provide them through rigorous employee training and supervision. Michel is keenly aware that the essence of hospitality is respect, both internally and outwardly to all customers. Our core staff members bring talent, enthusiasm and commitment to their positions and treat one another and their jobs with respect. These things bolster the positive attitude of all employees and set the foundation for any personal and professional interaction throughout the day. The culmination of this attitude occurs when we serve our customers with care and attentive respect. A top hospitality employee has many characteristics which cannot be taught: warmth, optimism, curiosity, honesty, empathy, respect, diplomacy, sincerity, ambition, responsibility and accountability. We are able to hire talented and committed staff following rigorous interviews, screening and intuition. Michel’s intuitive abilities have been developed after years of extensive observing and evaluating the potential in many candidates. Being very selective assures that our customers have a consistent fine dining experience, and only people who complement the team and our service paradigm can do that. Hospitality is the ancient practice of receiving and treating guests and strangers in a warm, friendly and generous way. Brasserie L’Oustau hospitality makes those ancient practices real for today’s guests.